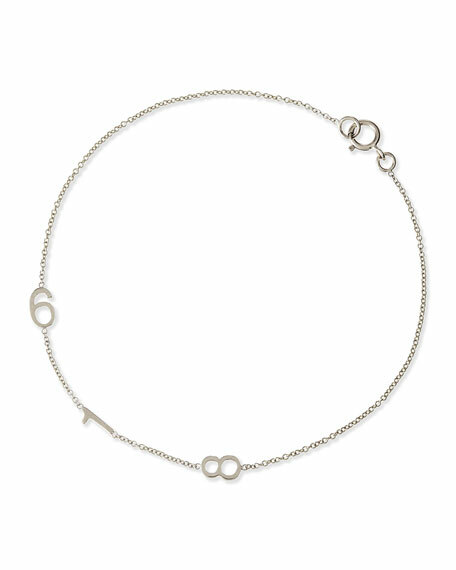 This Maya Brenner Designs bracelet is dainty but makes great impact with your lucky numbers, perfect for becoming your signature bauble. 14-karat white gold bracelet by Maya Brenner Designs. Three integrated number pendants of your choice, 5mm each.